Chicago’s Howells & Hood restaurant and pub, with its 119 beers on tap, lies at the confluence of two Chicago icons—the “Mag Mile” and The Tribune Building. Besides the lauded culinary program and extensive beer list (and draft wine, and cocktails and more), H&H boasts of a fabulous patio that provides patrons with an exceptional, photogenic view of the Chicago skyscape. On March 1, Howells & Hood raided the Bourbon County barrel cellars of Goose Island for its five-year anniversary. The Goose presence served to be somewhat symbolic, sort of speak, as is proved to be Howells & Hood’s Anniversary Party swan song; renovations to the Tribune building will force H&H out on September 30. That leaves fans of the pub (and tourists) one more summer to drink beer surrounded by Chicago’s architectural big shoulders. 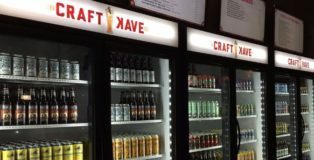 The Craft Kave at Guaranteed Rate Field has taken the traditional baseball and beer concept and improved it mightily. 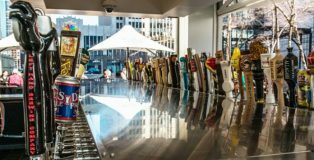 Fans can enter the bar, order any of the 75 craft/quasi-craft beers, eat chef-inspired food or order from the full bar menu. Early indications are that the new relationship between the Chicago White Sox and its new stadium owner, Guaranteed Rates, are taking craft beer seriously. This is no gimmick, this is a celebration of good beer. HopCat Craft Beer Bar in Chicago (2577 N. Clark St | Clark & Wrightwood) takes beer drinkers on a funky ride through time to the 1970s. Glowing orange lamps, geometric carpets, oil-paintings of rock legends and plenty of mahogany and red-leather meet beer drinkers the moment they enter the building. 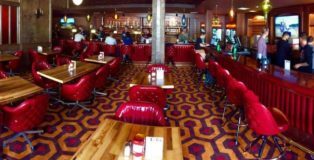 Of course, the one glaring difference between a 1970s lounge and HopCat Chicago is clear — the immense presence of craft beer in the form of 130 taps and 200 bottle choices, nearly half of them born from Chicago-area fermentation tanks. 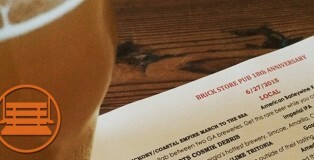 Georgia’s beer laws are undoubtedly among the worst in the U.S., but that doesn’t mean the beer scene is dead. Far from it. Oak Park has been a premier Chicago suburb since Chicago started having suburbs. Famed for being Frank Lloyd Wright’s canvas and the birthplace of Ernest Hemingway & Ray Kroc, there’s plenty of history and culture to prompt a visit. And located at the termination point of the Green Line, just a 25 minute train ride from the Loop, it’s simple enough to get to. 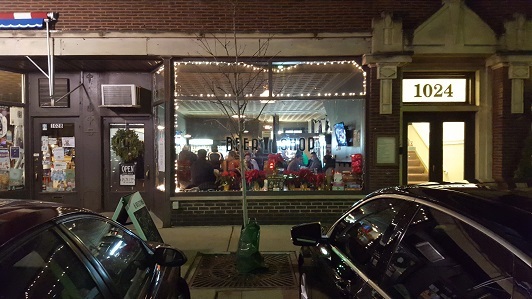 Lately, Oak Park has started to add more reasons to visit with an up and coming craft beer scene. It’s been host to the popular Oak Park Microbrew Review and will soon be home to its first breweries in 2016 (Oak Park Brewing Co. and Kinslahger Brewing Co.). 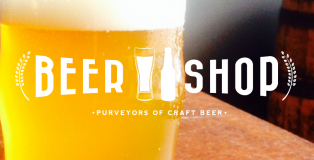 But you need not wait until 2016 to get your craft fill in Oak Park, because Beer Shop now has everything you need.